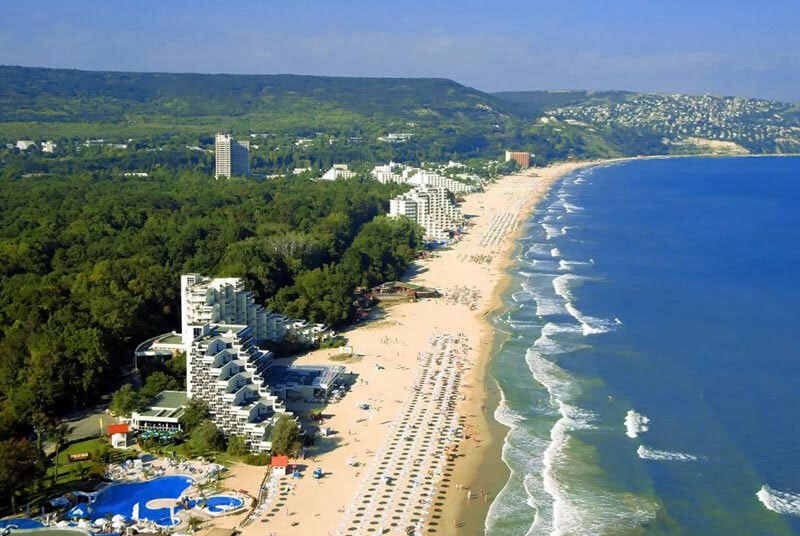 Albena Resort is a BLUE FLAG winning resort, located in a picturesque and ecologically clean gulf on the Bulgarian Black Sea coast, famous for its flower gardens, close to Varna international airport (30 km). This is a beautiful place on the Black Sea Coast with good location, high standard accommodation and a variety of amenities. Albena - a world of quality service and value! Albena - a delight for all ages - sandy beach, crystal sea, and as much or as little action as you need, Albena has something for everyone. Sport and recreation facilities, numerous entertainment spots, nightlife in bars and beauty facilities. The reason to book online your summer holidays in the best Bulgarian Beach resorts is low prices, updated details of the hotels and Early booking discount.